This Gorgeous Gold Nugget Crystal Specimen is from the Round Mountain Mine in Nevada. The color is really beautiful and the gold crystals are joined together is a very interesting formation. 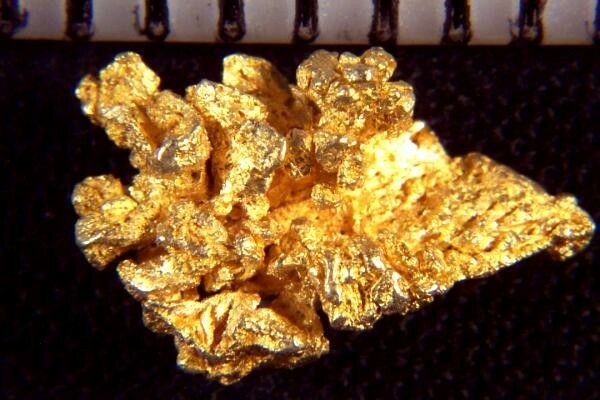 It is very rare to see distinct gold crystals and I have the largest selection you will find anywhere. 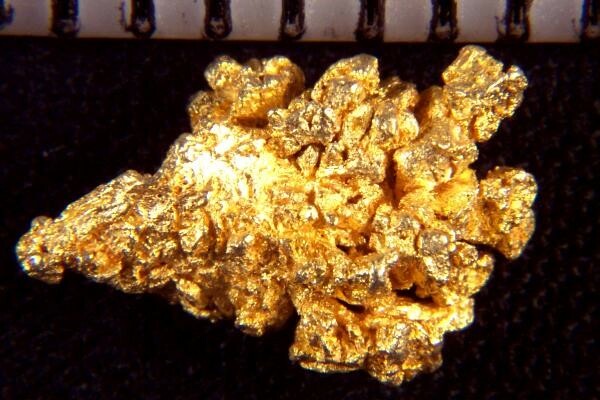 This beautiful gold specimen is 7/16" (11 mm) long. The weight is 8.1 Grains (0.52 Gram). A very pretty gold nugget crystal specimen for the price.